Oh Coachella. We love you for all of the amazing bands, great concerts, and awesome parties you bring with you, but hate what you do to our hair. When you’ve spent the past few days rocking out and skipping daily washings, your hair can start looking tortured. Trying to look put together with greasy roots is nigh on impossible, unless you happen to have the strand savvy of the fabulous Q from Bumble and bumble. We asked him to whip up a pretty coiff that requires minimum products, and that actually uses those sweaty locks to your advantage. 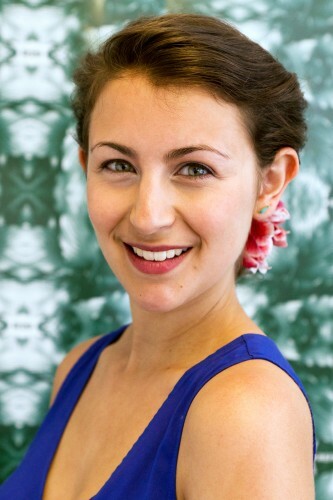 This combo victory-roll-and-chignon incorporates all of that texture to create a soft, feminine style that actually looks betterbecause of the excess grease and grime. So whether you’re lacking access to a shower, or you’re just feelingreally lazy, follow this easy DIY to make your dirty ‘do look polished and pretty. Start off by emulsifying a dime-sized amount of Bumble and bumble Color-Minded Styling Balm in your hands, then run it through your strands. Q says that by coating your hands in the balm, you’ll get the most even coverage. The balm has UV protection in it, so it will help protect your mane from the sun, as well as adding a small amount of hold and shine. It also keeps your hair moisturized, so it’s not all dry and full of flyaways. 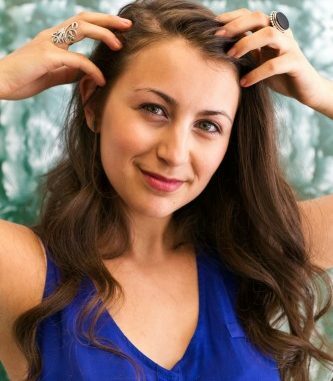 Once your hair has been properly “balmed,” use your fingers to create a slightly messy, deep side-part. You want to lift and “scoop” your hair at the root as you pull it back to help create a bit of extra volume. Starting on the side of your head that has the most hair, begin rolling your hair in towards your head, gathering in more as you go. 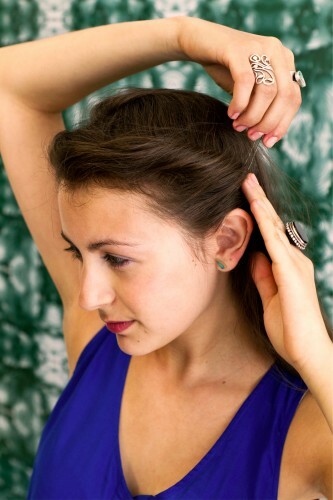 When you get to your ear, place a pin downwards into the roll to help secure. You want your roll to be volumized and a bit loose, but not falling out, so if you have thick strands you might need to use more than one. Continue rolling until you get to the nape of your neck, then place another pin at the end of the roll. Repeat on the opposite side. 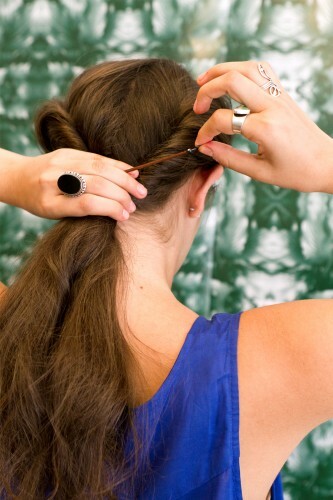 Gather the two loose sections of hair at the back of your head into a ponytail and secure with a hair bungee. You can use an elastic, but Q says he prefers using the bungee as it is easier to position and wrap. 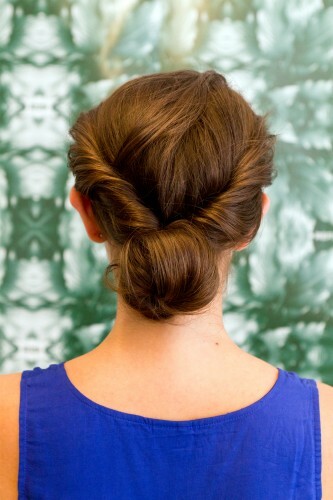 Take your ponytail and twist it until it bends upwards into a roll. Continue rolling up until all the hair is in this loose chignon, then pin the ends of your hair at the base of the neck to hide them and anchor the style. To add a little bit of festival flair, take a fresh flower and trim the stem so it is about an inch or two long. 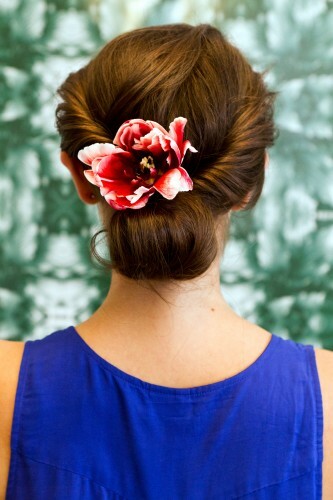 Take a bobby pin and attach it to the flower, then push the pin into your hair at the base of the chignon. Now you’ve got a cute, romantic ‘do that hides your less-than-fresh locks and glams up your look without a ton of work. Just do us a favor: If your hair starts to get smelly, get thee to a shower. There’s greasy, and then there’s just plain gross — know the difference and avoid earning an unpleasant Coachella nickname.